A trip to the Virunga is without a doubt always focused primarily on the Mountain Gorillas, however, there is another highly endangered primate that shares the Mountain Gorillas habitat. Meet the beautiful Golden Monkey. 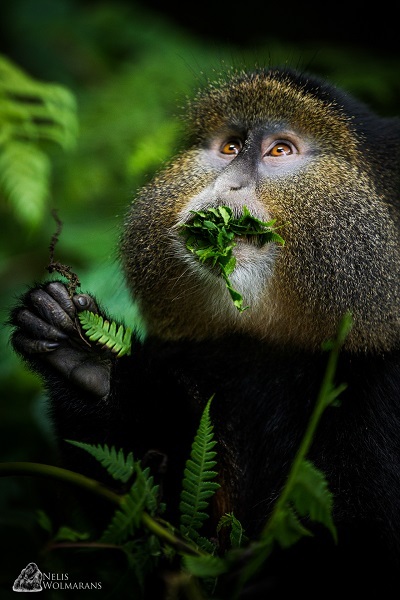 Besides occurring in the Virunga Volcanoes of Rwanda, Uganda and the DRC, they are also only found in The Gishwati and Nyungwe Forests in Rwanda. They are named for their gorgeous golden brown and reddish fur but just look at the rich golden amber of the eyes! These monkeys live in groups run by a single dominant male and group size can reach up to 80 individuals. The individuals vary in size, the males generally weigh in at 4.5 to 7 kilograms, but weights of up to 12 kilograms have been recorded. The smaller females weigh in the region of 3.5 to 4.5 kilograms. 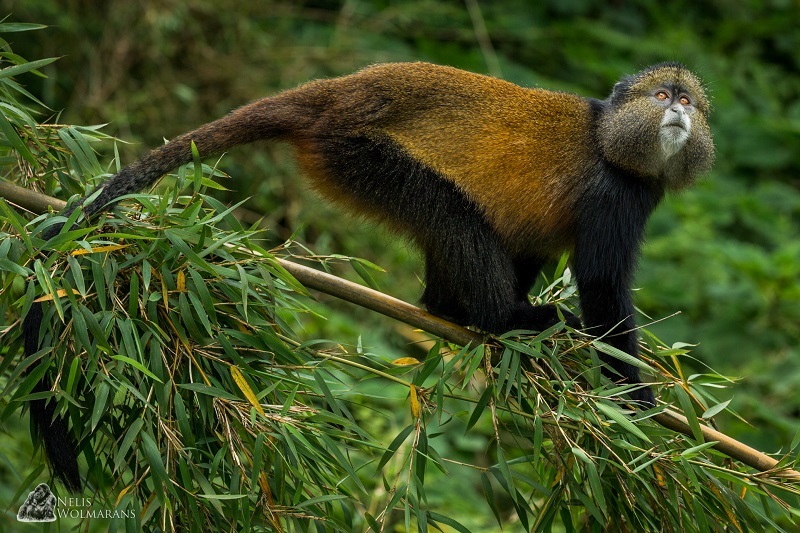 They are omnivorous with their main preference being the young bamboo shoots found mainly on the park’s periphery and mostly during the two rainy seasons. 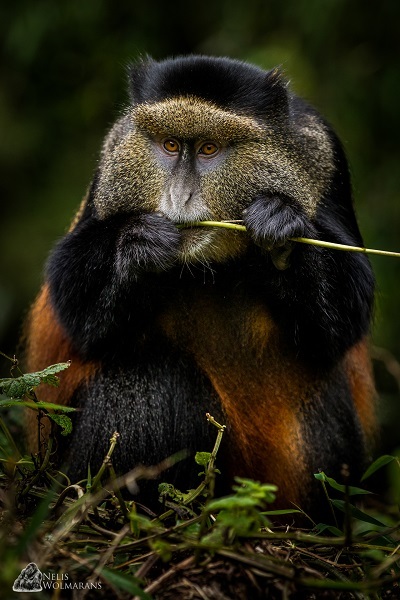 The Golden Monkeys, though extremely habituated to human presence, are not always an easy subject to photograph, but a lot of fun and also very rewarding when you get it right. They are mischievous little characters and a word of caution; when you are visiting them, don’t just assume that all moisture coming down through the bamboo canopy is rain! 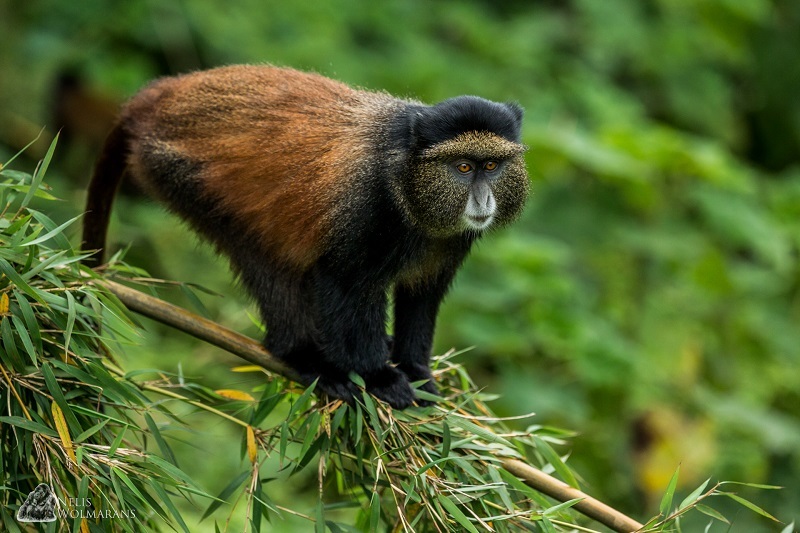 The hikes to see the Golden Monkeys are generally much shorter than the Gorilla treks, so either a good way to stretch your legs and prepare for the following day’s Gorilla trek. Besides my love of the Mountain Gorillas, these little chaps also hold a very special place in my heart.